All the wait is over for the superbowl which held in the Dallas last week. Despite of the cold weather the new arlington theater was packed with the crowd cheering up for the super bowl stars (well, players). No No No, I haven't witnessed that in person, but just had a good time at our friend's place with our super bowl gathering. (By this you must be thinking wow, She must be a great foot ball fan, then you have got me wrong ;-)). Actually Super Bowl gathering is an excuse to make some more new cheesy snacks and to have a great time with my gal friends with gupshup (girly chitchat) while the husbands are having fun with screaming and shouting (yeah, i meant cheering up) at the close match. The kids were shocked and locked up in a room thinking 'Why today Daddy's are behaving like us?'. With out any wait let me share the super bowl snack series recipes that I have made for this year's super bowl fun which we kept on munching all day. I have made Jalapeño and Veggie Roll-ups, Jalapeno Crostini Crisps and Curried Capsicum (Bell Pepper). All this was possible when the kids were happily having breakfast with Mickey and Minnie. 6. Serve them hot to enjoy the crispy crostini. Yum! Yum! Yum! Jalapeno Crostini Crisps are ready to munch on. Serve them hot. 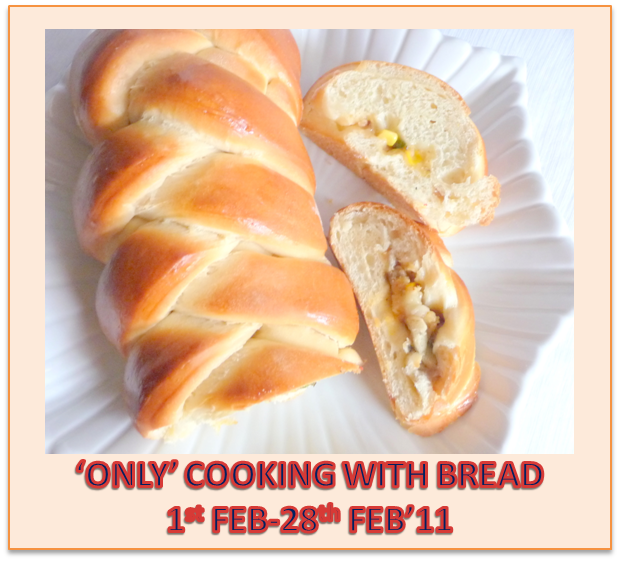 I have used thin loaf bread to make it more crispy. 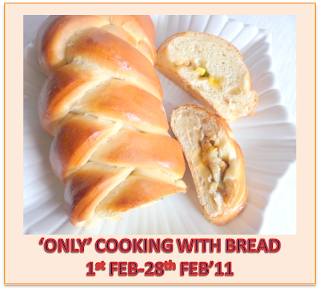 if you prefer soft bread then get the un-cut french loaf bread and cut at your desired size. Wow looks so cheesy and delicious..
Wow! So hot and spicy, I can munch them all in a go. wow Mythreyi these look delicious! Wow, would love that with a bowl of soup. Cheesy and spicy with jalepenos...Great quickie..